I like to think of a compote as a natural fruit flavored juice that is perfect for a hot summer afternoon. But in Romania, a compote is also an easy approach to preserving fruits for a longer period of time (over the winter and spring, for example, when fresh fruits could be hard to find). If you've never tried it, give it a shot - the recipe below is very quick and easy to prepare. 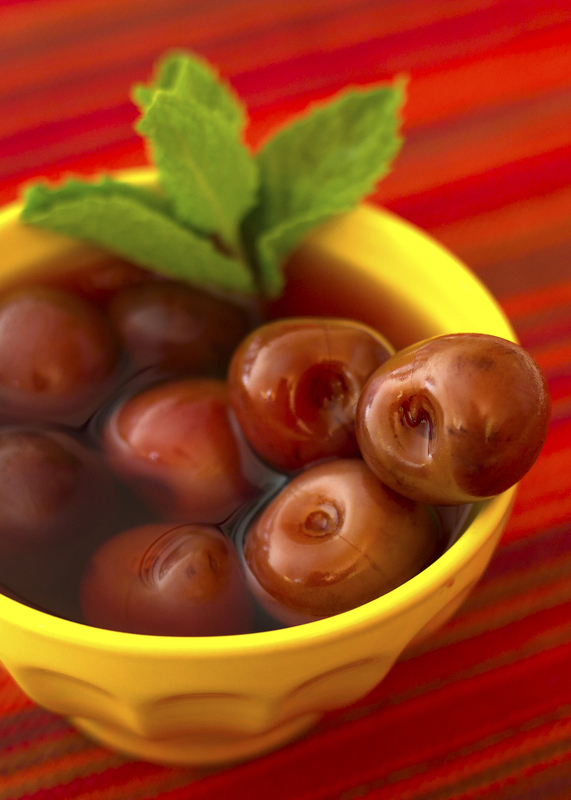 Some of the common compotes in Romania are made out of grapes, apples, cherries, peaches, apricots, and mirabelles. I give you here the recipe for Cherry Compote - the others are very similar to it. I also simplified the recipe for quick consumption - the approach to prepare a compote that lasts for months is a tiny bit different (the end result tastes the same, but the cooking is slightly different to help with the preservation). - Mix the water, sugar, vanilla, and cinnamon. Bring to a boil. 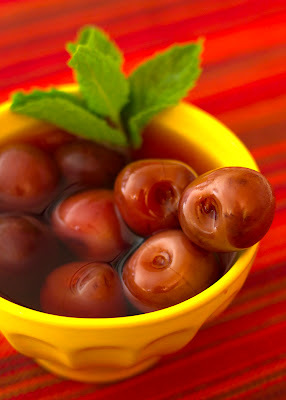 - Add the cherries and continue boiling for 5 minutes. - Remove from heat, cover, and let sit for a few hours or overnight - this will allow the cherry flavor to infuse the liquid. The compote can easy stay at room temperature for the first 12 to 24 hours, though it needs to be refrigerated afterwards. - Serve at room temperature or cold. - Place in a nice colorful bowl, and decorate with some fresh mint leaves.